Croatia keeps winning awards. This time it's for the most beautiful beach in Europe, voted by the readers of "European Best Destinations" who chose the Stiniva Beach on the island of Vis as the best among many other amazing beaches in Greece, Portugal and Spain. For this reason we bring you our selection of accommodation on the island of Vis so you can book yourself an apartment or a room as quick as possible, and set off on an unforgettable holiday. 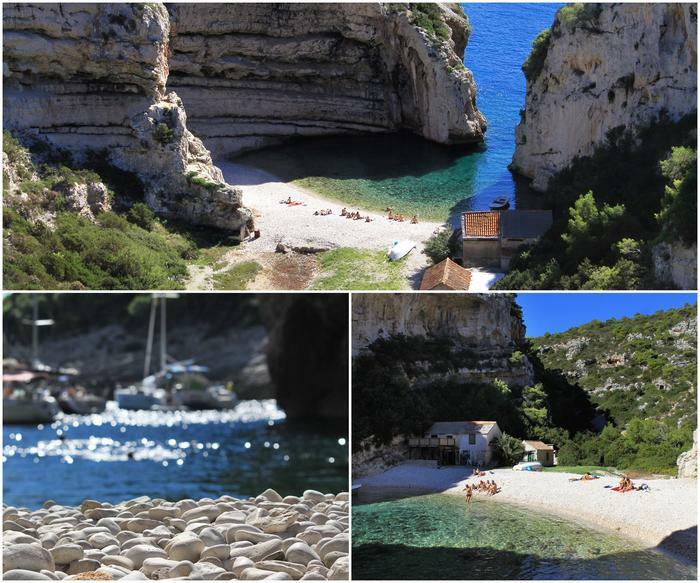 The most beautiful beach in Europe – Stiniva is a true pearl of the Adriatic. You can reach this hidden gem either from the sea through a gap between two high rocky cliffs, or through a narrow and steep path. If you want to experience this beach in all its glory, it's best to come early in the morning when there are less people. Since is has become so popular, to avoid the crowds many prefer to enjoy the exceptional view it offers through its natural rocky gates in June and September, as most people visit it in the high season. The island of Vis is one of the most popular destinations in Croatia. Its perfectly clean sea, great Mediterranean food, peaceful and relaxing atmosphere are just some of the qualities that make it a perfect holiday choice. Moreover, it's renowned for its untouched nature and beautiful pebble and sandy beaches, as well as the neighboring islet of Biševo which is home to the famous Blue Cave – a must-see for all visitors of Vis. The history of this island is quite unique and its traces are visible in the architecture so history lovers also have a lot to explore during the holiday. With this award "European Best Destinations" website has once more shown how much the Europeans love and appreciate beauty of Croatia. After Zadar was voted as the top European destination and Advent in Zagreb as the best European Christmas Destination, now Croatian Stiniva Beach is named top European beach.